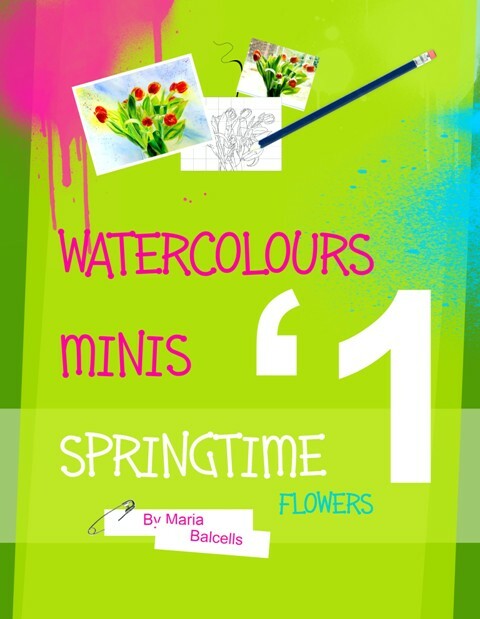 In this book you will find 4 flowers paintings of spring flowers with its corresponding step by step demonstration and drawing. The paintings are quite simple and can be completed in a short time. Hopefully they will inspire you and If you have any questions please feel welcome to ask me. My contact address can be found in this book or my web page. This book is also available as Paperback and Kindle in all AMazon stores. This PDF can be read in any tablet or Kindle devices as if it would be a book turning pages. All you need to do is to copy and insert on your tablet document folder the PDF. The advantage, you can see much better the details on the photos.